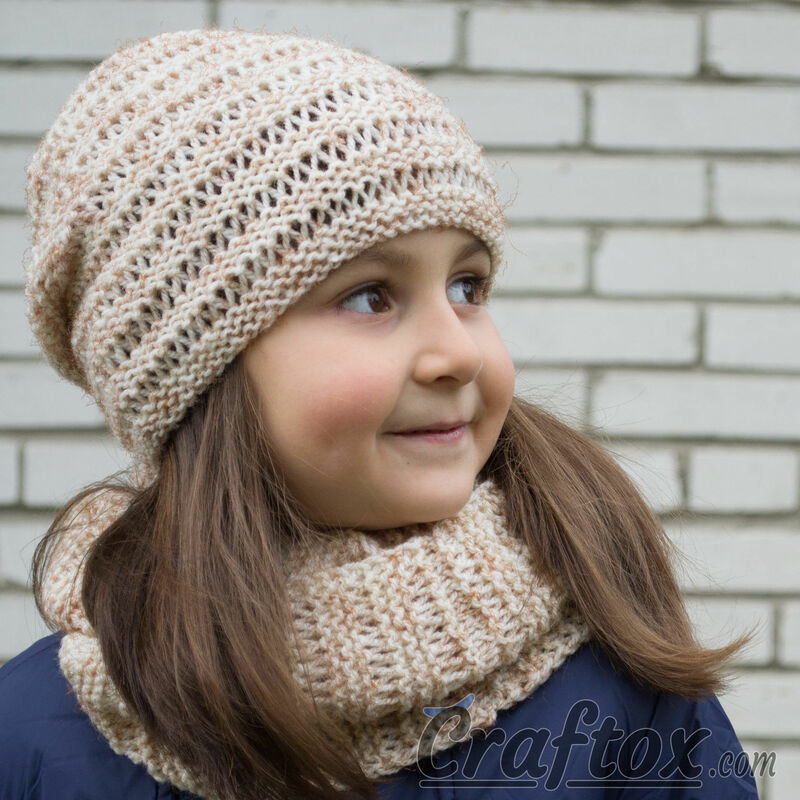 Hat and cowl set "Kari". 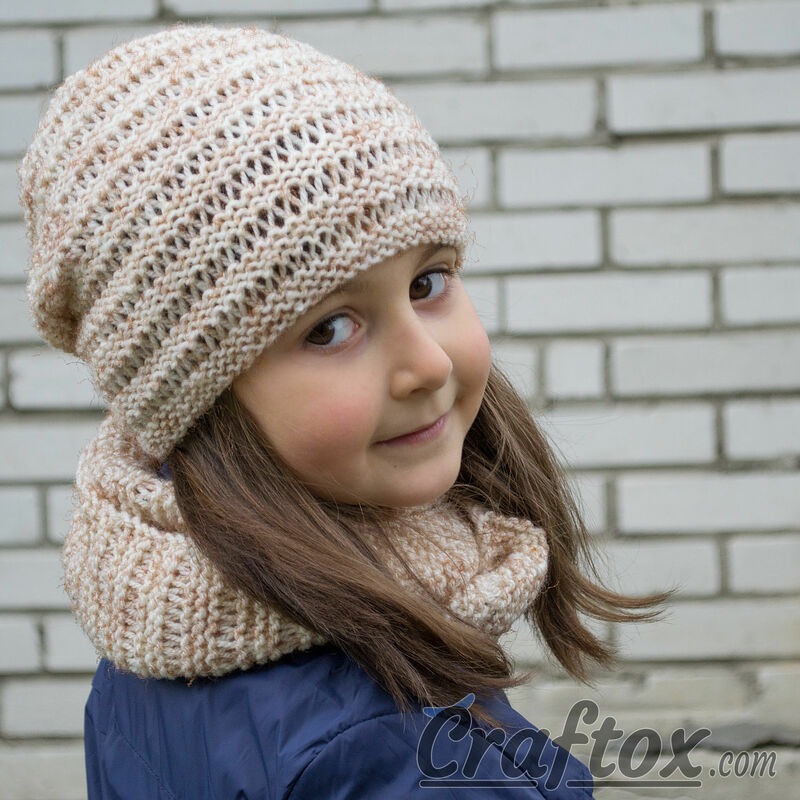 Knitting pattern for beginners. I suggest a stylish accessory for your image. An excellent set is performed in a simple pattern of expressive yarn. 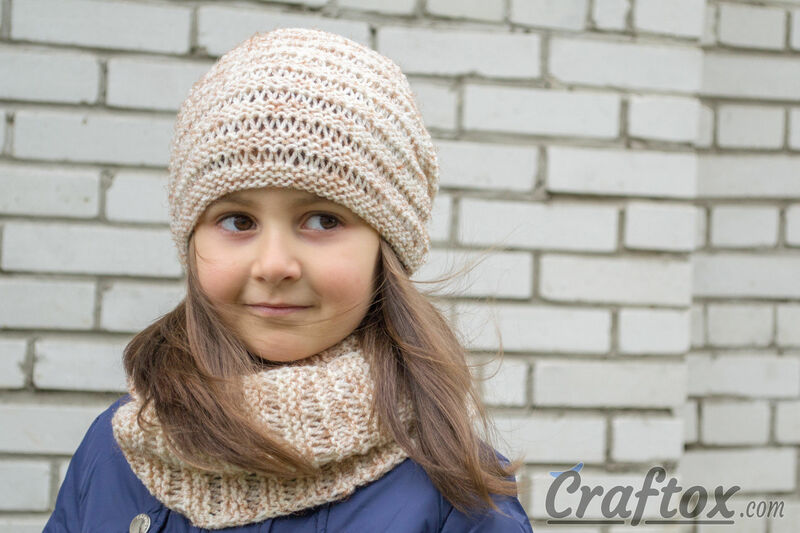 It is a marvelous option for beginners at knitting. 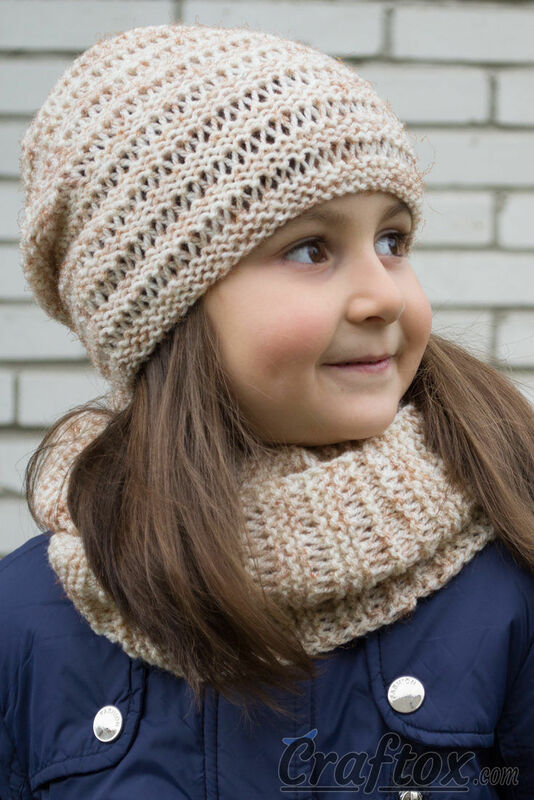 It is easy to knit, but it looks excellent. A hat, knitted in a pattern of stretched out stitches, is complemented with a cowl with the same pattern. 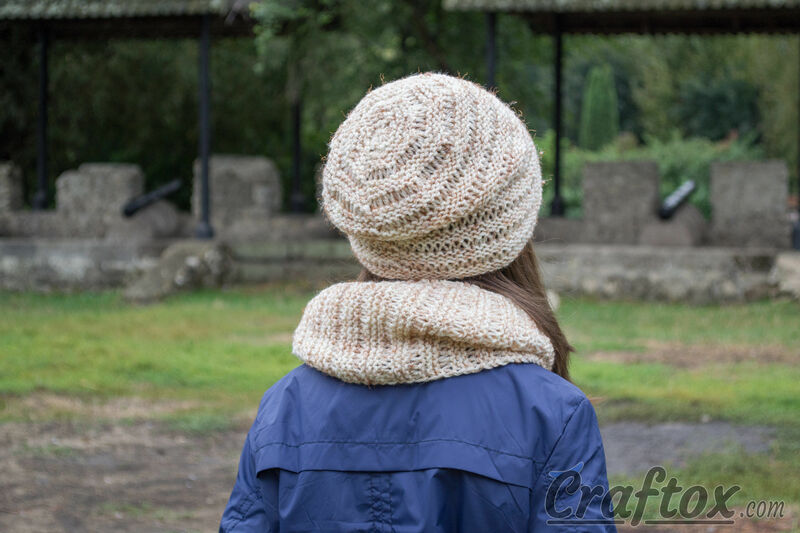 Such a set will be perfect for chilly autumn and spring days. And it will also give zest to your casual wear. Round 6: *1 knit stitch, turn yarn around the needle one time and then knit the next stitch* repeat from * to*, end the round with a knit stitch. Round 7: purl the original stitches and drop others. Stretch the stitches. Round 61: *1 knit stitch, 1 yarn over * repeat from * to *, end with a knit stitch. Row 4: knit all the stitches, slip the yarns over of the previous row, stretching the stitches.